What is a Knee Injury? Ice: Ice packs applied to the injury will help diminish swelling and pain. Ice should be applied over a towel to the affected area for 15-20 minutes four times a day for several days. Never place ice directly on the skin. 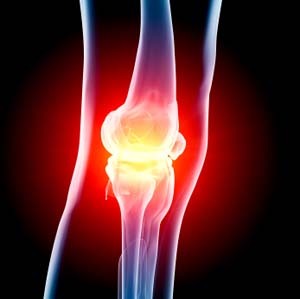 Acute or mild knee injury does not require knee surgery. It can be treated with anti-inflammatory drugs such as ibuprofen, and it is necessary to drain out accumulated extra joint fluid with the use of a syringe or needle. If pain persists for a long time or appears at night or while at rest, it is important to visit a doctor to seek advice. Conservative treatment may be recommended that includes taping, massage, mobilization techniques and stretching, and strengthening exercises as well as exercises to improve your balance and agility.